Hi loves! 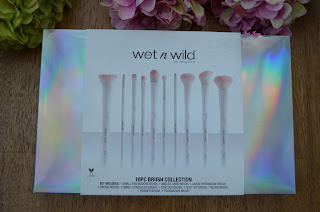 Today I have for you the cutest brush set from Wet n Wild. Its their 10 Piece Brush Collection. 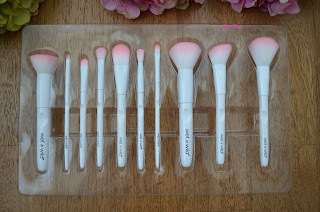 Its limited edition brush set and I picked it up from Ideaal Kosmeetika (link) and it was 29.00 euros. These brushes are cruelty free and I love the white and light pink bristles. The handles have nice weight behind them and the brushes feel so soft. I have used them and washed them once. So far I haven't lost any of the hairs. 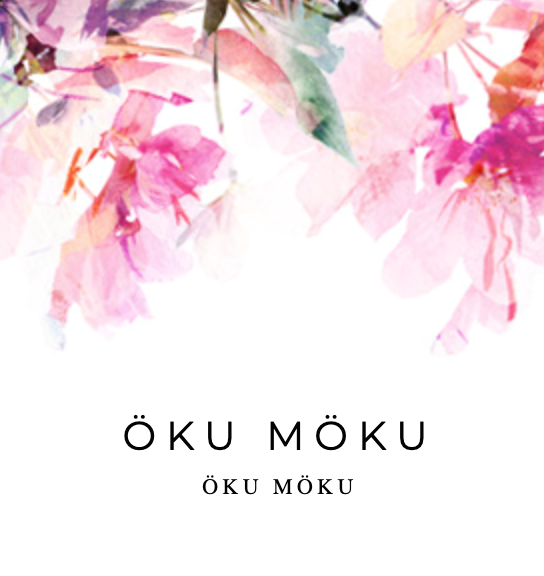 The quality seems very good. 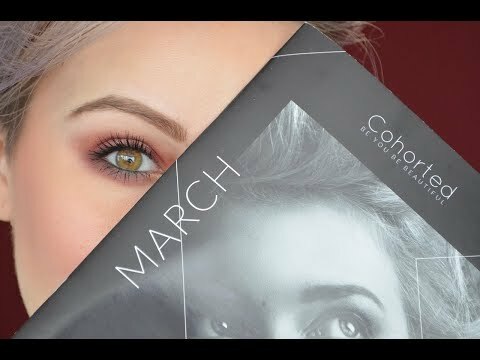 This kit has everything I need to complete a makeup look. First one is a Flat Top Brush and I have been using it as my foundation brush. It blends everything into the skin and makes it look flawless. I also like to use it over my contouring powder to make sure everything looks seamless. 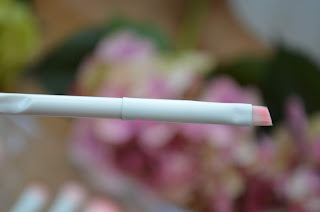 Next is Angled Liner Brush and it has been my go to eyebrow brush. I use Tarte Amazonian Clay Brow Mousse and its perfect brush to apply it and get a sharp eyebrow. 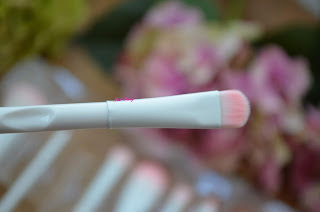 Then we have Foundation Brush, which is the only brush I haven't used from the kit. 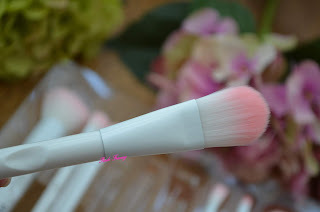 I don't like to use this type of foundation brush. It takes too long time to apply the foundation. Next is the Crease Brush, which is so soft and is easy to apply and blend the eye shadow. 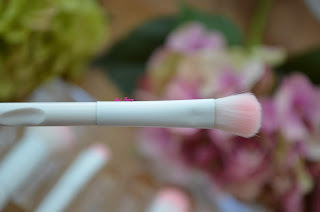 I find some crease brushes can hurt the delicate skin around the eye, but this brush is so gentle and soft. Next we have Contour Brush. 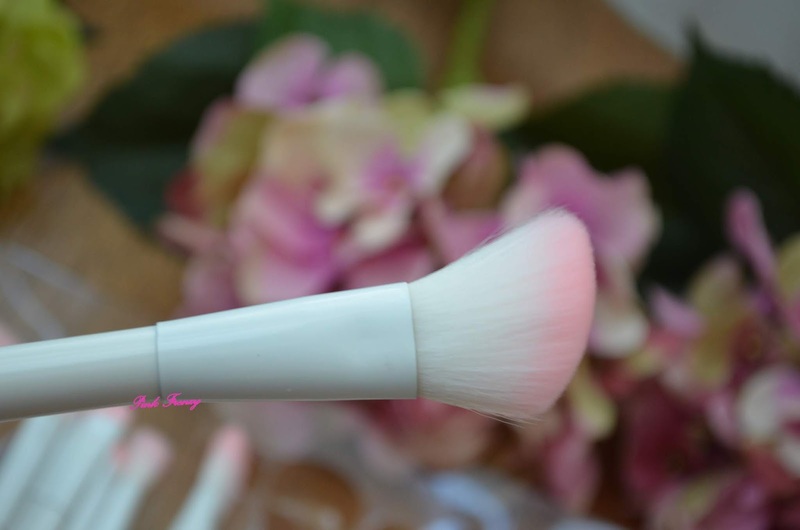 This applies evenly product and makes blending it out easy, because its not as intense as some contouring brushes. 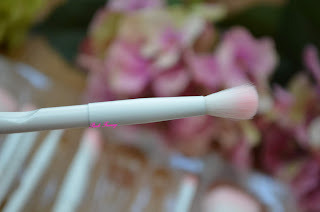 I do wanna mention the brushes don't have any names on them, so I'm guessing what brush it might be. 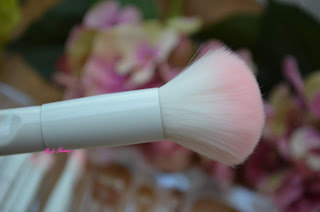 The next I think is Blush Brush and I have been using it as my powder brush. 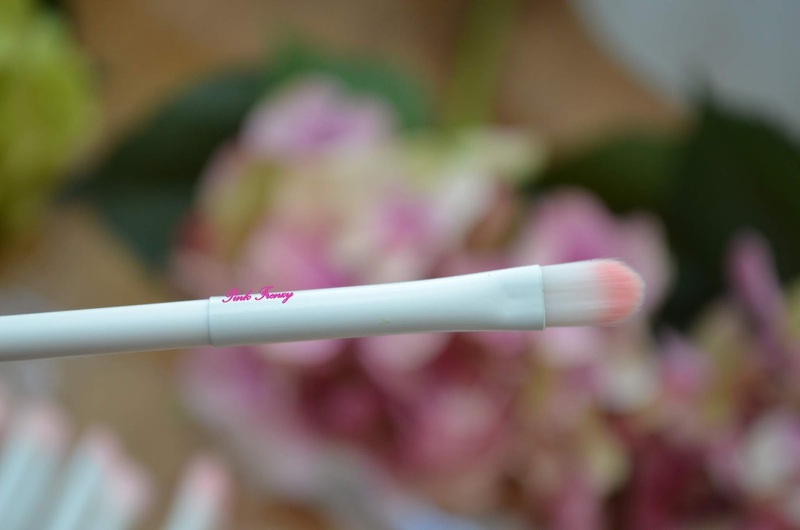 Its nice size to apply the brush under my eye area and really everywhere. 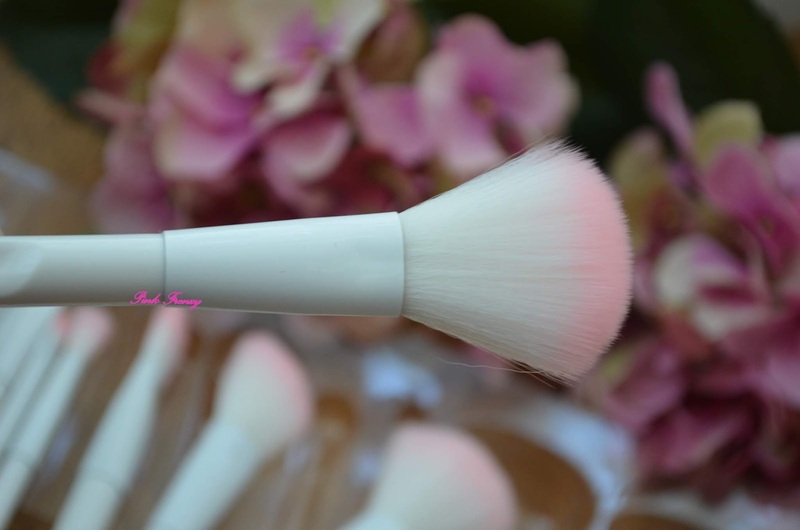 I have been using the Powder Brush as my bronzer brush, because of the shape and it has worked well. I find its bit too big for powder brush, but perfect to apply my bronzer. Then we have Small Concealer Brush and I have used it as my concealer brush, but also as an eye shadow brush. It works well for both as it is so flat. Next is Small Eyeshadow Brush and I have used it to apply my brow bone highlighter and pack on eyeshadow on the lid. It works very well for both occasion. The last brush in the kit is Large Eyeshadow Brush and I use it to blend out edges or do my nose contouring with it. 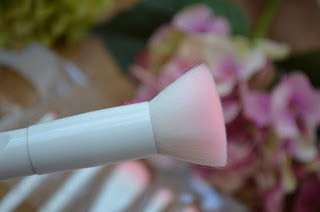 Its also very soft brush and works well to blend out eyeshadow. I'm very happy with this brush kit. Best way to spend 30 euros. I feel these brushes will last me for years and year, and they look so cute. Have you tried any of these brushes before? I've seen a few people giving great reviews on this set too! Wet n Wild is definitely one of the better drugstore brands. These are nice brushes. I haven't used this before, but wouldn't mind. Those brushes are so cute!! Love the pink tips! !